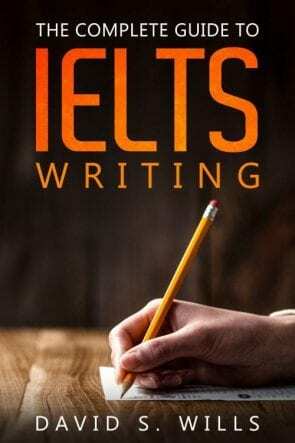 Today I’m going to give essay correction for an IELTS Writing Task 2 essay. This essay was written by one of my students and she has given me permission to post it here, alongside the corrected version. I have not simply corrected small errors, but instead I have rewritten the essay. It maintains all of her ideas, but I have changed the sentences into natural English. Hopefully this will be useful for readers of TED-IELTS. If you would like your essay corrected, you should take a look at my correction service. More and more people choose to take a train to other places than before, and increasingly more government would like to spend money on railway rather than roads. Generally, I think it is a positive. For passengers, take a train can give them relax and comfortable environment. On the train, people do not need to worry about the road situation, weather, and tired. So they can enjoy the journey on the way, which can help them have a good physical strength when they arrived at destination. Also, the train is always more safety than the car, which do not have some many potential problems on the way. Apart from individuals’ benefits, much more positive influence can be easily noted. Most train’s travel are long distance, which can make people more likely to go outside and train in other city, increasing the liquidity of economy between each city. This is the very reason why that is encouraged. More importantly, travel in different city helps promote the understanding between different citys and ethnic groups. During their travel in different place, they will feel each friendly and hospitable. From a long-term point of view, some people might be worried that if too many investment give in railway not road, people will have a trouble when they got a short distance to go that do not need train. This could be true to some extent, but the obvious merits brought by railway developed clearly outweigh its disadvantages and government always think about the ration of the need and give some rules and regulations to minimize its negative impacts. On the other hand, it can also reduce the production of cars powerfully. Overall, I believe in this age of transportation people and nations all benefit from the development of the railway building in general. These days, more and more people are choosing to take a train when they travel, and as a result governments are spending more money on railways than on roads. It seems to me that this is a positive development. Train passengers are typically more relaxed and comfortable than those who travel by car. On the train, people don’t need to worry about the same things that concern drivers – namely, road conditions, weather, and fatigue. As such, they can enjoy their journey and arrive feeling better than they would had they driven. Moreover, train travel is far safer than travelling by road. Aside from the benefits for individuals, there are also aspects of train travel that benefit the greater society. Because trains bridge the gap between cities that are located far apart, this can help develop a country’s economy. More importantly, this connection between cities allows people from different places and backgrounds to come together peacefully. In the long term, some people might be worried that investing in railways will result in the deterioration of local roads. While this may be a legitimate concern, the obvious benefits of investing in rail travel outweigh the negatives. Governments must think carefully about the pros and cons and make an informed decision, and then act to limit any potential negative outcomes, such as damaging the automotive industry. Overall, there are numerous benefits gained by individuals and society at large by investing more in railways than roads. PreviousWhere did English come from?